Status: Active. However the illustrated examples are out-of-print. Information: Two Gatchaman covers from Animage. 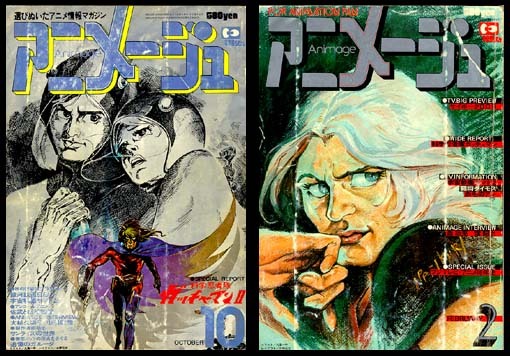 Illustrated above are the October 1978 and February 1979 issues.